How Far is Shiv Home Emerald? Shiv Shankar Buildcon has launched Shiv Home Emerald a latest residential plan in Noida Extension. Shiv Home Emerald by Shiv Shankar buildcon is presenting 1&2 BHK Apartments that are pollution free yet all. 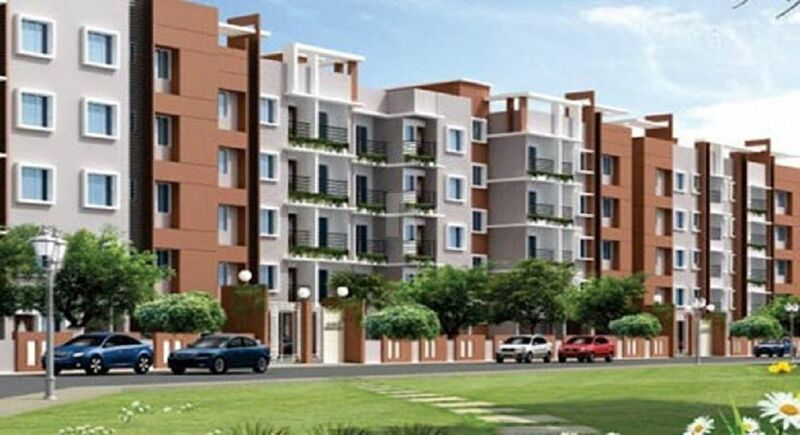 Shiv Home Emerald is Low Rise Apartments and is providing good accommodation with all the latest facilities and amenities like intercom, solar heating system, swimming pool, play area etc along with high Tech security. Shiv Home Emerald by Shiv Shankar Buildcon Provides you not just a shelter but beautiful and lush green surrounding that come along with these nature and eco friendly homes and makes your long cherished dream a reality. These 1& 2 BHK flats in Noida is what everyone would fall in love with at first sight and would be eager to buy flats in noida. - Earthquake Resistant RCC Framed Structure. - The structure design will be vetted by IIT. - Internal wall plastered and painted with pleasing shades of oil-bound distemper or equivalent. - Permanent weather coated heat reflective texture paint on external walls or equivalent. - Glazed ceramic tiles upto 7 ft. height, wash basin, EWC, towel rail and other accessories in toilets. - Pre polished granite platform with stainless steel sink, dado up to 2 0 height above platform in ceramic glazed tiles. - Vitrified floor tiles in drawing, dining room and bed rooms. - Wooden flooring in master bed-room. - Anti-skid ceramic floor tiles in kitchen and toilets. - Ceramic tiles in balconies. - Malaysian Sal wood or equivalent wood frame for doors. - Main door of paneled teak with brass fittings. - Other doors of hardwood frame and both side teak finished/skin mounded shutters. - Recessed space for cupboards.